The bramble bushes are massive this year. We spotted this monster of a bush today. The bush measures in at around 70 metres long, 10 metres wide and 8 metres high. That is a lot of blackberries. We came across this beast on the edge of Wroughton Airfield near Swindon. Does anyone know of any larger bramble bushes elsewhere? Why are there so many blackberries this year? According to the Daily Telegraph, the wet winter followed by weeks of sunshine has led to an early blackberry crop that is six times larger than last year’s. Blackberries are in season from late August to October. To reduce the chances of picking tainted berries avoid busy road verges and routes regularly used by dog walkers. The juiciest blackberries are those that have grown in direct sunlight. Pick only ripened, black blackberries as they do not ripen further once picked. Make sure that you leave some berries for the birds. Blackberries do not keep for long so consume within 2 days of picking. Blackberries should be kept dry prior to use. Wash by soaking in water just before you intend to use them. 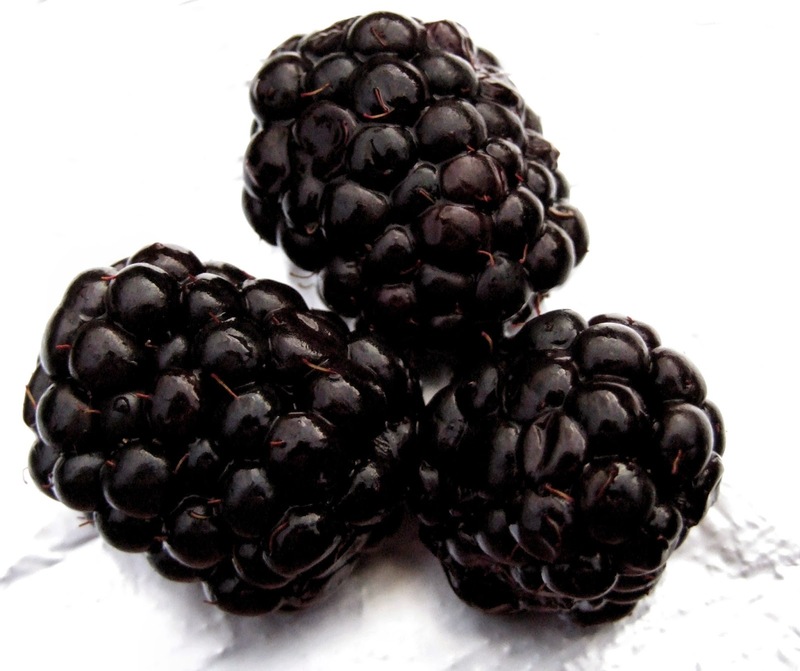 Blackberries can be frozen in freezer bags for later use in baking or jam making. Alternatively, if you do not want your blackberries to mush together, spread them thinly on a tray and freeze until hard. You can then remove the hardened berries from the tray and continue to freeze in a suitable container. Blackberries are low in sugars, high in antioxidants and packed with vitamin C. This means that they are very good for you. Plus they're free! I spotted this huge area of brambles whilst out for a walk today. The brambles seem to cover acres of land. This really has been a bumper season for blackberries. My freezer is now crammed with them. Are there any large brambles near to where you live?